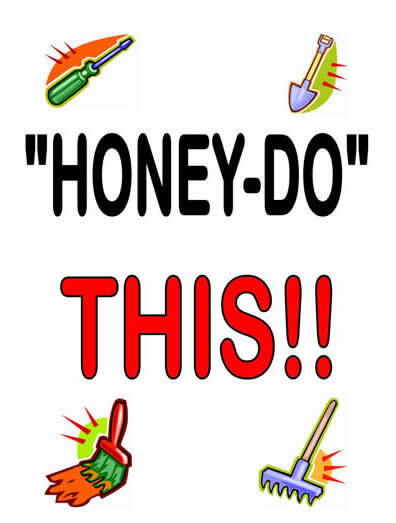 Today I made my first "Honey Do" list for my husband. He's out of school now and has a few days with nothing to do. I cannot wait to see how this goes over. I predict foul weather ahead. But hey, if homeboy is at home watching TV and I'm at work making that money, I think I'm justified in asking him to clean the toilet...and the kitchen...and the bathroom...well, you get the picture.